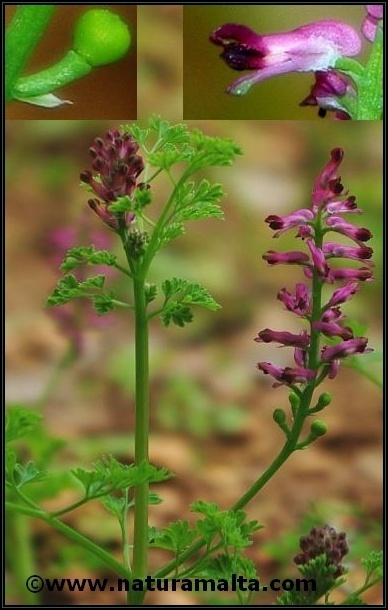 The Italian Fumitory (Fumaria gaillardotti) is a flowering plant with small pinkish flowers. The leaves are small, finely divided and greenish. The seed pod is small rounded and green. It grows in cultivated areas and areas where the area is overgrown with several plants. It flowers in late winter to early spring.